Red and zebra print looks so good together. 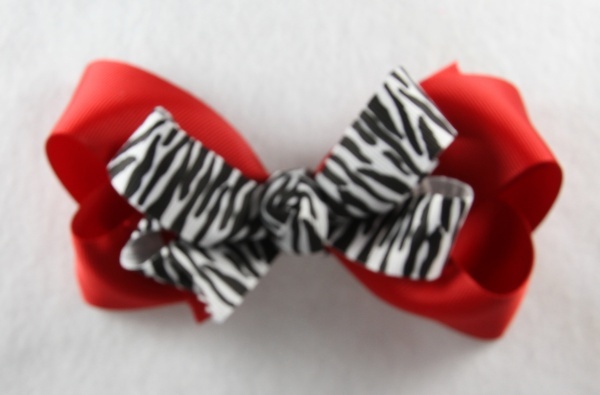 The base bow is a solid red grosgrain ribbon and it is topped with a zebra print ribbon. The center is wrapped into a French knot with the same zebra print ribbon. Red and zebra will look great on this stylish bow.